Continuing education is a shared responsibility at MAVERICK, and we make every effort to facilitate a learning environment. 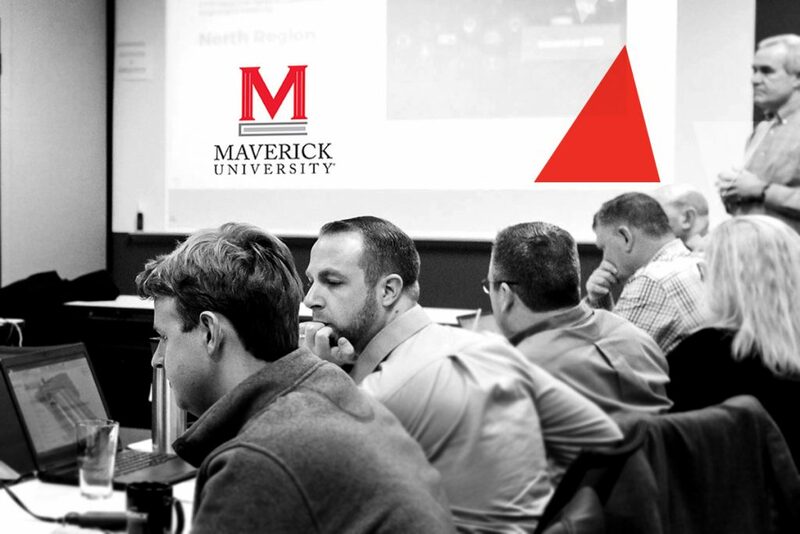 We founded MAVERICK University® in response to an overwhelming employee request for even more educational opportunities. Our learning department is continually adding new programs and looking for new ways to learn. Most formal classes are held at our Columbia, Illinois, headquarters in the Atlantis Learning Center, named for the legendary Greek city of intellect and advanced learning. Just as the world’s civilizations continue to strive for the perfection of Atlantis, MAVERICK employees continue to study the latest technologies and expand their knowledge base. The space holds up to 100 people and is a versatile area for hosting a variety of meetings and seminars. We also have a virtual campus that offers online forums, topical references, industry and vendor information, and access to web-based training — a comprehensive repository for everyone’s ongoing educational needs. The company offers a catalog of more than 1,200 online courses covering a range of topics, including project management, sales, management, team-building, safety and Microsoft® Office programs. MAVERICK University students can take a variety of classes from the moment they join the team. Through our new-hire orientation, employees attend biweekly, one-hour live teleconference sessions on the topics of human resources, IT, benefits, quality and safety, referencing checklists to ensure that everything is covered. Our new employee orientation is designed to bridge the gap between academia and practical application. This program introduces the organization, the type of work accomplished in each area and fundamental knowledge of company benefits. It also builds awareness of MAVERICK’s strategic objectives, guiding principles, quality systems, internal business procedures and safety program. New employees learn how to deal with clients and other aspects of the job that aren’t taught in college. Other programs and leadership courses offer a variety of ways for employees to learn while getting to know each other better.